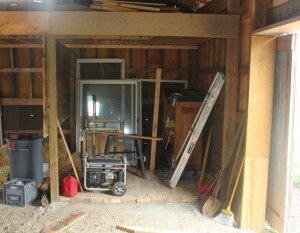 The before picture…this corner of our barn served as the catch-all for all of the tools and garden supplies. It was in two words..a mess. With the rains that came this past week – we had to hold off with work on the front entrance. Instead, we turned our attention to the inside of the barn. Since erecting the barn last year – we have wanted build a storage room inside to store and organize all of our garden tools, seed and straw. Up until now, those items had found a home laying around in every nook and cranny of the barn – making it hard to keep it clean. So – this week, using more of the old barn lumber – we closed in 1/3 of the space underneath the loft to create our “tack room”. We framed in the existing back corner and loft posts with a simple 2 x 4 stud wall – including the framework for a small potting and workbench area on the outside of the side wall. 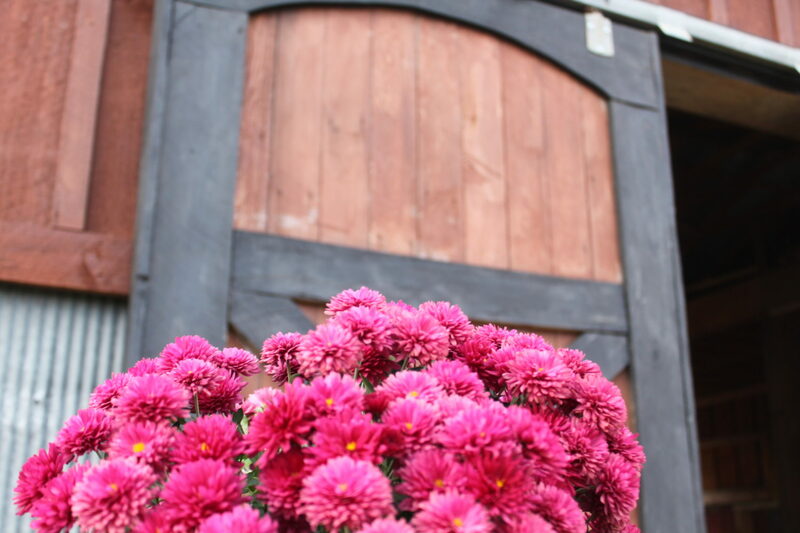 For the wall covering – we used more of the 3/4″ thick reclaimed barn flooring boards. The old flooring is all heavy red oak and cleaned up beautifully with nothing more than a simple power washing. 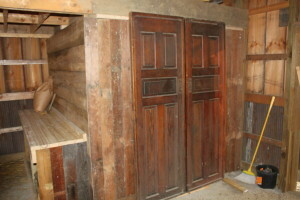 We finished up trimming out the walls with tongue and groove board siding saved from the Cardington barn tear down. 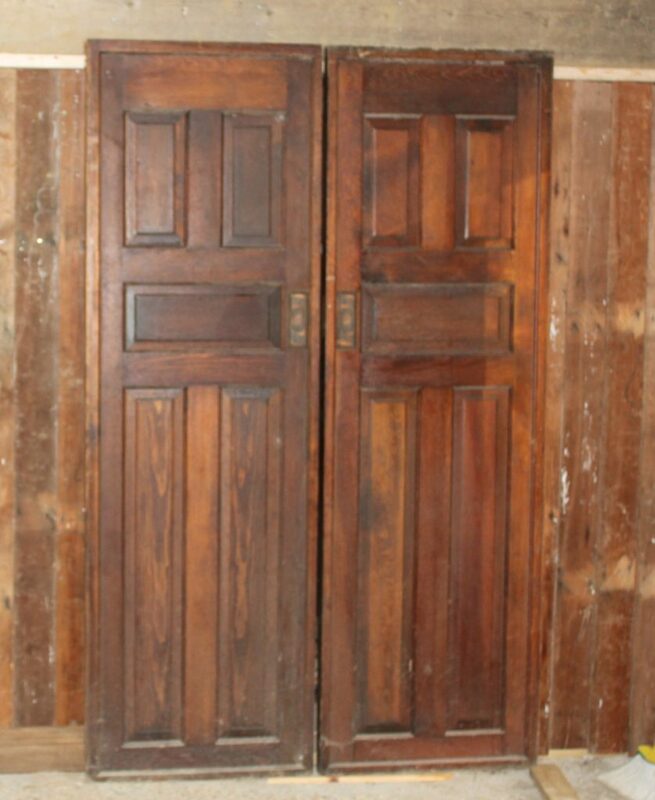 All that was left was to find a set of doors to close it all in – and luckily, we had the perfect pair in mind. 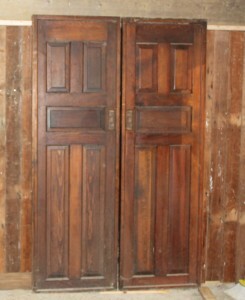 We had been holding on to a pair of old pocket doors I had salvaged out of an old building 10 years back. They worked perfect. For now – they are just resting up against the new walls. 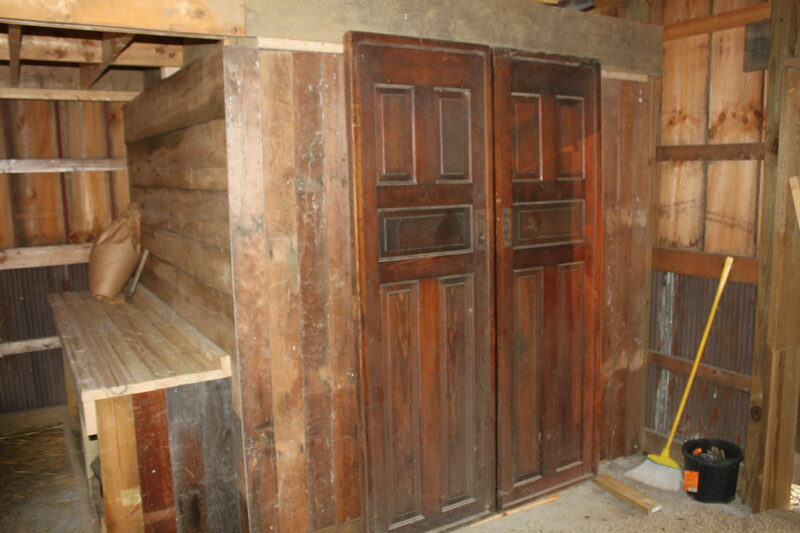 We’ll finish in the coming weeks by attaching barn door track and wheels to the doors to match the rest of the barn. The cover crops in our raised row garden beds are coming on strong. They are filling in as a thick green mass of grass and will provide great winter cover for our beds – along with a nice dose of nitrogen when we turn them over in the spring. 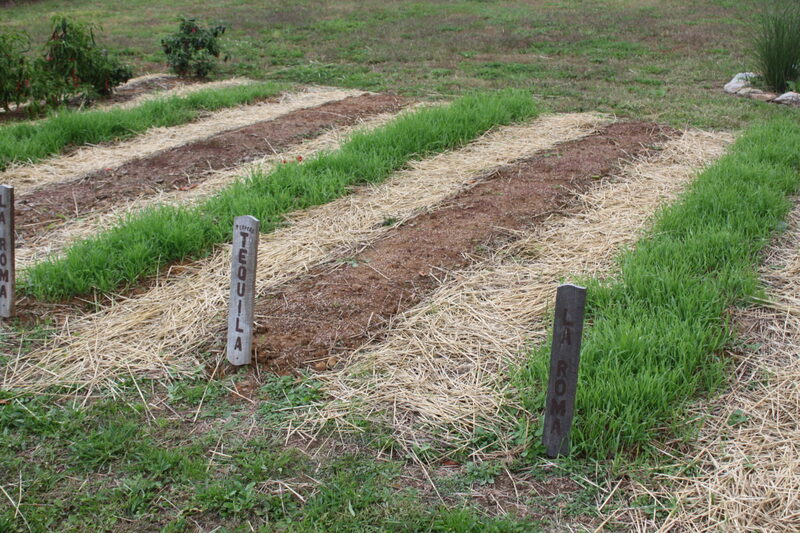 I know we say it often – but cover crops are one of the keys when growing a successful garden. They keep valuable garden soil from eroding over the winter and add great organic material back into the soil after crops. 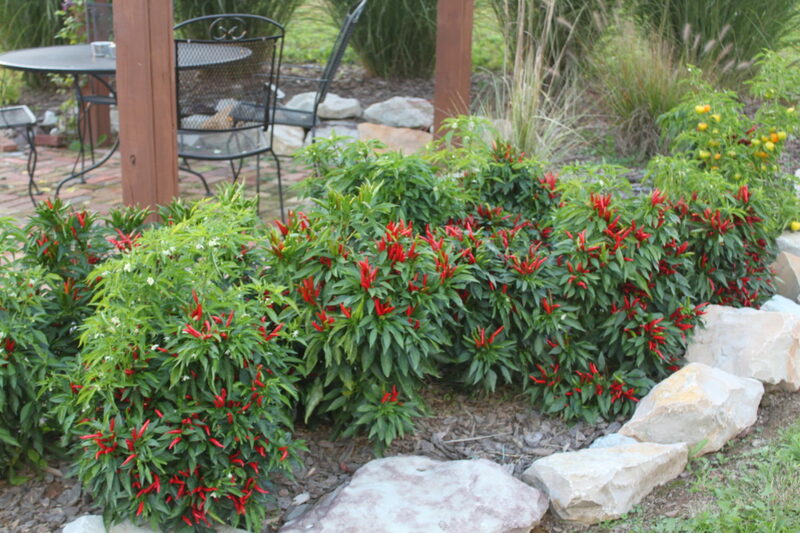 The mums are in full bloom as are the Poinsettia ornamental peppers. 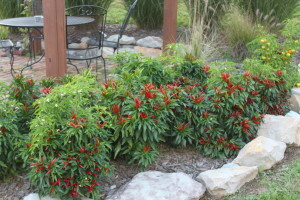 We have been really impressed with this variety of ornamental pepper – it has held up really great through fall and a few light frosts. The Poinsettia, although ornamental – are edible…that is if you can handle the 5000 degree temperature in your mouth. I swear they are as hot as our Habaneros!! But they are a beautiful plant in the landscape. Starting this week – we’ll begin to collect and shred the falling leaves to make our planting compost for next year. In fact – Tuesday’s DIY post will be all about how to create great compost from leaves, including what leaves are best to compost and how to get them to decompose quickly.